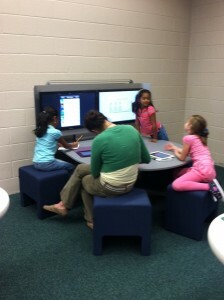 Shiloh Point is very excited to implement BYOT (Bring Your Own Technology). This plan is designed to help facilitate project-based learning and individualized instruction in a classroom. Technology integration is a very complex and deep process. There are three levels of technology incorporation: literacy, adaptive, and transforming. Even though we understand that there is a period of time during which students simply learn about their devices and applications (literacy level) and use many drill-like assignments to practice different academic skills, we desire to move quickly onto the adaptive level, where students respond and redeliver the knowledge through media presentations. Our goal, however, is to reach the transforming level by challenging our students to think critically, create new knowledge, and to connect with real-world situations. This is the time when classroom instruction becomes rigorous and project-centered, students take the charge and ownership of their learning, and teachers turn into instructional coaches, instead of lecturing knowledge-givers. We want for Shiloh students to reach the world around them and bring the world to Shiloh. And the BYOT initiative gives us such opportunity. BYOT is a change and as any change, it takes time to learn and feel successful about it. But together we can make the difference and transform learning experiences for our children. Teachers are participating in several professional learning opportunities to ramp up their knowledge and comfort level for this new way of learning. FCS provides support and guidance to our school, as requested, to facilitate the implementation of BYOT. Why change? If we look back, a classroom setting has changed very little in the last 100 years. If our job is to prepare students for their future, can we do so without evaluating and improving our craftmenship of teaching? Most students today have and use their own technology regulary. They know their devices from inside-out. But do they recognize them as learning tools or just entertainment gadgets? As educators, we need to teach our students about how powerful their devices can be in learning, collaboration, communication, creativity, and critical thinking. Below is a powerful video put together by high school students in which they demand change in their classroom. Shiloh Students who are in classrooms involved in the BYOT initiative have been trying out the use of laptop computers, netbook computers, iPod Touches, iPads, and gaming consoles that have the capacity to browse the Internet. Students and teachers descover endless possibilities of their devices as learning tools. BYOT has brought down classroom walls and connected students with the real world audience. We are working very hard to make our media center as a place to collaborate, communicate, and learn together, a place where students enjoy and own their learning. We are very excited to pilot this initiative because we believe that it helps us make learning relevant and rigorous and help students develop 21st century skills. What is BYOT (BYOD) and Why is it so popular?